MGM GRAND, LAS VEGAS - In a rematch of their Olympic fight, Nordine Oubaali (15-0, 11 KO's) remained unbeaten and dominated Rau'shee Warren (16-3, 4 KO's) to win a unanimous decision and the vacant WBC bantamweight world title. The scores were 115-113, 116-112 and 117-111 for Oubaali. FightNights.com scored the fight 117-111 for Oubaali. 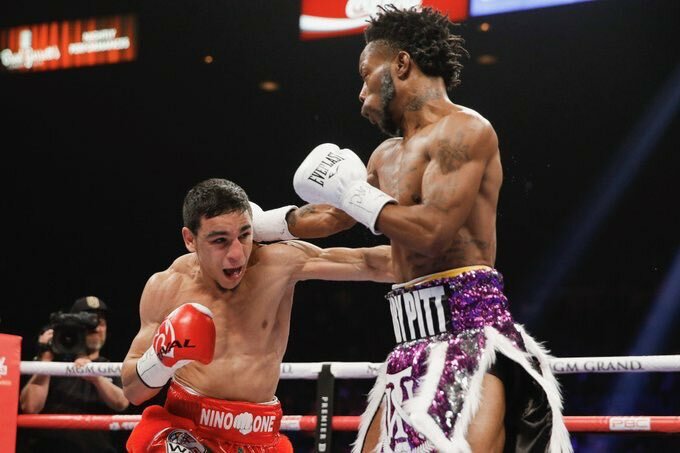 The first half of the fight was close, with Oubaali landing the more explosive punches, while Warren was able to land hard counters to keep Oubaali off him. However, Oubaali exploded on Warren in the seventh round, which ultimately turned out to be the turning point of the bout. Oubaali was connecting with hard combos to the body, which left Warren in obvious pain. Warren tried to force the issue, but stood too tall on the inside, and his attack was neutralized with effective counters from Oubaali.